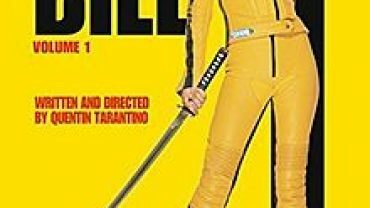 This is a list of movie recommendations of movies similar to P.S. I Love You. Bear in mind that this list is in no particular order. Nelson Moss (Keanu Reeves) and Sara Deever (Charlize Theron) have nothing in common except an hour spent in DMV hell. Intrigued by each other, but not quite ready to commit, they settle on a rather unconventional courtship: a one-month trial, after which they’ll go their separate ways. No expectations. No pressure. No strings attached. What neither of them counts on is falling in love. 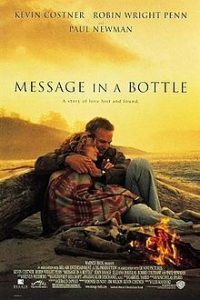 When Adrienne Willis (Diane Lane) arrives at the coastal town of Rodanthe, N.C., her life is in chaos. There, she hopes to sort through the trouble surrounding her, while tending a friend’s inn for the weekend. 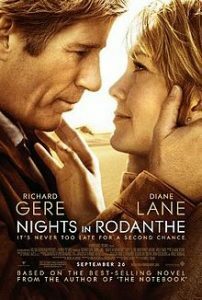 The only guest at the inn is Dr. Paul Flanner (Richard Gere), a man tormented by a crisis of conscience. As a storm approaches the coast, Paul and Adrienne find comfort and a life-changing romance. During her morning jog on the beach, journalist Theresa Osborne (Robin Wright Penn) discovers a bottle protruding from the sand. Inside it, she finds a heartbreaking, anonymous love letter. 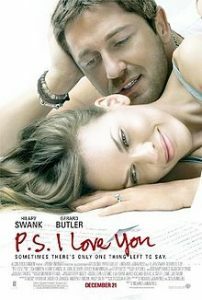 After her paper publishes the letter, Osborne tracks down the letter’s reclusive author, world-weary widower Garret Blake (Kevin Costner), in the Carolinas. But, as Osborne finds herself falling hopelessly in love with Blake, she becomes wracked with guilt over the real impetus for her visit. A man (Paul Nicholls) tries to avert destiny when he gets an opportunity to relive the day his lover (Jennifer Love Hewitt) died in an auto accident. 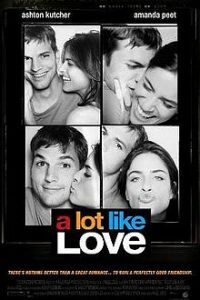 When Oliver (Ashton Kutcher) and Emily (Amanda Peet) meet on an airplane, they feel an instant connection, but agree that they’re wrong for each other. As the years pass and they live their separate lives, fate brings them together several times, and they become close friends. Any time one of them wants more out of the relationship, the other seems content with just being friends. If they wait too long, Oliver and Emily may miss any chance of spending their lives together. 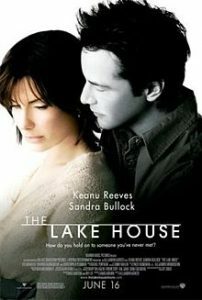 A lonely doctor (Sandra Bullock), who once lived in a beautiful lakeside home, falls in love via letters with its latest resident, a frustrated architect (Keanu Reeves). When they discover that they are living two years apart, the pair must unravel the mystery behind their incredible romance. Chicago librarian Henry De Tamble (Eric Bana) suffers from a rare genetic disorder that causes him to drift uncontrollably back and forth through time. 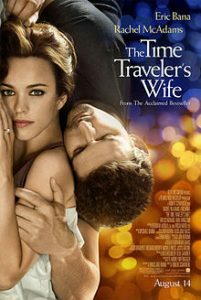 On one of his sojourns, he meets the love of his life, Claire (Rachel McAdams), and they marry. But the problems and complexities of any relationship are multiplied by Henry’s inability to remain in one time and place, so that he and his beloved are continually out of sync. Conceived as a marrow donor for her gravely ill sister, Anna Fitzgerald (Abigail Breslin) has undergone countless surgeries and medical procedures in her short life. Though their older daughter’s life has no doubt been prolonged, the unorthodox decision of Anna’s parents has cracked the entire family’s foundation. When Anna sues her parents for emancipation, it sets off a court case that threatens to destroy the family for good. 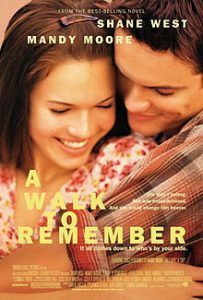 Set in North Carolina, “A Walk To Remember” follows the rite of passage of a jaded, aimless high school senior (Shane West) who falls in love with a guileless young woman (Mandy Moore) he and his friends once scorned. The two develop a powerful and inspirational relationship in which they discover truths that take most people a lifetime to learn.